Cornerback Mike Hilton doesn’t plan to immediately sign his exclusive rights free agent tender as he waits for a new, long-term deal from the Steelers, per Jeremy Fowler of ESPN.com (Twitter link). As an exclusive rights free agent, Hilton has no leverage with Pittsburgh: he can either accept a minimum salary pact from the Steelers, or decide not to play football in 2019. ERFAs and restricted free agents do hold one advantage over other young players who were drafted, however, as they can receive extensions after only two seasons (drafted players must wait at least three years). One of the better slot corners in the league, Hilton has appeared in 31 games over the past two seasons, posting three interceptions and five sacks during that span. He doesn’t plan to miss any offseason work as he pushes for a new contract, per Fowler. Running back James White and defensive tackle Lawrence Guy each missed out on playtime/performance bonus thresholds in 2018, but the Patriots have decided to pay each player his bonus anyway, as Tom Pelissero of NFL.com tweets. White will collect a $250K bonus, which he would have earned by reaching 1,200 total yards (he managed 1,176), per Ben Volin of the Boston Globe. Meanwhile, Guy needed to play 50% of New England’s defensive snaps for his own $250K bonus, but fell three snaps short. Together, the bonuses will add $500K to the Patriots’ salary cap, but New England can feel secure in rewarding its players. The Pats did the same thing for Guy in 2018 when he barely failed to earn a $500K bonus. Doug Baldwin has already had knee and shoulder surgeries this offseason, and the veteran Seahawks receiver may have to go under the knife yet again. Appearing on Sports Radio KJR, Baldwin indicated he’s likely to require another operation in the coming months (Twitter link via Curtis Crabtree of KJR). In April, Baldwin is expected to travel to Philadelphia to meet with a specialist regarding a possible sports hernia, tweets Mike Garafolo of NFL.com. Baldwin, 30, missed three games with a knee issue in 2018 and didn’t appear fully healthy once he returned to action. Free agent Jake Fisher will work out as a tight end for the Redskins on Thursday, tweets John Keim of ESPN.com. A second-round pick of the Bengals as an offensive tackle in 2015, Fisher is now attempting to convert to a skill position, and is reportedly down to 285 pounds. Fisher, who played tight end in high school, has been limited by injuries and ineffectiveness throughout his career, and has started just 12 games in four years. He auditioned for the Texans last week. Another day, another update in the Antonio Brown saga. The All-Pro Steelers receiver is still demanding a trade, and now we have an update on his preferences of where he’d like to land. Brown has been loosely connected to a handful of teams, but they apparently aren’t all equal in Brown’s eyes. “Quality of quarterback play will be a factor” in determining whether Brown will agree to play for a potential trade partner, a source told Mike Florio of ProFootballTalk.com. We heard earlier today that the Titans, Raiders, and Redskins had been expressing the most interest in Brown so far. It’s unclear if any of those three teams would meet Brown’s apparent standards for quarterback play. The trade market has been relatively quiet for Brown thus far, and his public demands have seemingly reduced the Steelers’ leverage in negotiations. Brown has played his entire career with one of the league’s top quarterbacks throwing him the ball, so it makes sense why he wouldn’t want to downgrade. The Packers could really use some extra pass-rushing help, and they might already have their eyes set on someone in this year’s draft class. The Packers “really like” Florida edge rusher Jachai Polite, according to Tony Pauline of Draftanalyst.com. Green Bay owns the 12th pick in the draft, and that’s right around where Polite is slated to go in most mock drafts as of right now, so it could be a good fit. Polite racked up 11 sacks and 19.5 tackles for loss this past season with the Gators. Doug Baldwin never looked 100 percent right for the Seahawks this past season, and we now have confirmation he was dealing with multiple serious injuries. The receiver underwent surgery on his knee and his shoulder after the season ended, Pete Carroll revealed from the combine this week, according to Bob Condotta of The Seattle Times (Twitter link). Carroll did say that Baldwin, 30, will be fine for the start of the regular season. Baldwin missed three games in 2018 with a knee injury, and was clearly not fully healthy during the 13 games he was on the field. He finished with just 614 yards, by far his lowest total since he became a starter in 2013. Former Penn State quarterback Trace McSorley was asked to workout as a defensive back at the combine this week, according to Adam Schefter of ESPN.com (Twitter link). Schefter notes that McSorley declined the request, citing a desire to concentrate on being a quarterback. McSorely played defensive back in high school, so it’s not entirely out of nowhere. Teams sometimes do things like this, like when Lamar Jackson was controversially asked to workout as a wide receiver at last year’s combine. McSorley set records at Penn State, but isn’t thought of as one of the top quarterback prospects in this year’s draft class. The Cardinals will be non-tendering defensive tackle Olsen Pierre, a source told Florio (Twitter link). Pierre, a 2015 undrafted free agent, made his first NFL appearance with Arizona in 2017. He ended up starting seven games for them that year and was very productive, racking up 5.5 sacks. He appeared in ten games for them last year with one start, but the new coaching staff apparently wants to move on. He should be able to latch on somewhere when the market opens in a couple of weeks. The long-anticipated Reggie McKenzie departure leaves the Raiders in search of a replacement, but Jon Gruden is not certain to be involved in the interview process that will lead to his new decision-making partner/lieutenant. Jaguars player personnel director Chris Polian, Lions exec Jimmy Raye III and former Gruden Buccaneers coworker Mark Domenik have been loosely connected to the Raiders’ vacancy thus far. The team may want an executive who can push back against Gruden when necessary, per SI.com’s Albert Breer. College scouting director Shaun Herock is now filling in for McKenzie as GM, and Davis views Herock as a key organizational piece going forward. Gruden stopped short of proclaiming McKenzie’s right-hand man, player personnel director Joey Clinkscales, would have a long-term role. But Clinkscales remains in his post following McKenzie’s firing. With a home game against the Chargers and a road tilt in Seattle, the Chiefs have a tough back-to-back assignment coming up. Their top wide receiver likely will not be 100 percent for those games. Tyreek Hill said Sunday, via NBC Sports’ Peter King, his foot was “bad.” Hill left Sunday’s overtime win because of injury but returned, and Andy Reid expects the deep threat to play against the Bolts on Thursday. The Chiefs possessed a top-flight skill-position quartet, powering Patrick Mahomes‘ MVP candidacy, this season. But they are now without Kareem Hunt and Sammy Watkins, the latter likely out until the playoffs. Hill has not missed an NFL game due to injury. A Hill absence would make Kansas City vulnerable against a Chargers team that would move into an 11-3 tie atop the AFC West with a win. That said, the Chiefs would still hold the divisional-record tiebreaker and keep the top spot. Chances for a Thursday recovery for Austin Ekeler aren’t as good. The second-year Chargers running back suffered a bruised nerve in his neck, per Eric Williams of ESPN.com, and although he played through similar discomfort earlier this season, Ekeler not playing appears to be the most likely scenario. “It’s football, yeah, but there’s a lot of life after football, too,” Ekeler said Monday. Melvin Gordon is expected to return from his MCL injury, however. The 49ers drafted N.C. State’s Kentavius Street shortly after he tore his ACL in a pre-draft workout with the Giants, but the rookie defensive end may be on the verge of practicing, Kyle Shanahan said Monday. Street is on the 49ers’ NFI list and will not play in a game this season, though, per Matt Maiocco of NBC Sports (on Twitter). Still, practice work would help as Street prepares for a hopefully healthy 2019 offseason. 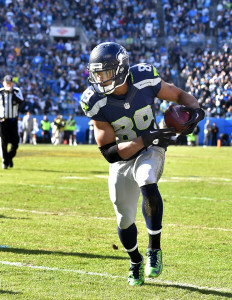 In case you missed it, Doug Baldwin is inactive for tonight’s Seahawks-Vikings game. Baldwin, who’s battled a knee injury most of this season, is now dealing with a hip problem. Pete Carroll confirmed the Seahawks will have their top pass-catcher back on Sunday. Doug Baldwin will return to action against the Cardinals in Week 4, Seattle’s head coach said during a radio address (via ESPN.com’s Brady Henderson). Baldwin’s missed the past two games because of an MCL injury and has yet to record a catch in 2018. The veteran wide receiver suffered a knee injury during training camp, causing him to miss most of Seattle’s workouts leading up to the season before exiting Seattle’s Week 1 game with more knee trouble. He managed limited practices on Wednesday and Thursday. The Seahawks went 1-1 without their eighth-year wideout, but Baldwin’s return figures to be critical for the team’s passing attack. Baldwin’s led the Seahawks in receiving yardage the past four seasons, finishing with back-to-back 1,000-yard showings in 2015 and ’16 and posting a 991-yard, eight-touchdown campaign last season. Eric Reid‘s one-year deal with the Panthers has a base value of $1MM, but he can earn an additional $900K via other means, tweets Ian Rapoport of NFL.com. Reid could collect the extra cash via playtime incentives, Pro Bowl incentives, or per-game roster bonuses. Carolina needed extra defensive backs after recently losing Da’Norris Searcy, and Reid should immediately step into the club’s starting lineup opposite Mike Adams. Reid, of course, has protested police brutality by kneeling during the national anthem, but that issue reportedly didn’t come up during his meeting with the Panthers. The 49ers reportedly offered Reid a contract before he signed with the Panthers, and they weren’t the only NFC West club to do so. The Seahawks also discussed a deal with Reid, per Jim Trotter of NFL.com (Twitter link), and were the first team to offer Reid a pact. Seattle negotiated with Reid while fellow safety Earl Thomas was holding out, and Bob Condotta of the Seattle Times reports (via Twitter) the offer was pulled after Thomas reported. Per Condotta, Seattle and Reid couldn’t agree on a salary. Doug Baldwin returned to Seahawks practice on Wednesday for the first time since going down with an MCL injury in the club’s Week 1 game, according to Brady Henderson of ESPN.com (Twitter link). 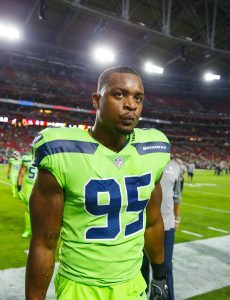 While Baldwin hasn’t yet been given clearance to play in Week 4, he says he’s “chomping at the bit” to return to action, tweets Curtis Crabtree of Sports Radio KJR. Baldwin’s return would be an obvious boon to a Seattle offense that has given more snaps to Brandon Marshall and Jaron Brown. Buccaneers safety Chris Conte was the victim of a vicious stiff arm from Steelers tight end Vance McDonald on Monday night, but the veteran defensive back was actually playing through a torn PCL, reports Adam Schefter of ESPN.com (Twitter link). Conte was placed on injured reserve earlier this week, but given that his recovery timeline is just six weeks, it’s conceivable he could return later this season. Tampa Bay will rely on fourth-round rookie Jordan Whitehead at safety for the time being. Cornerback Bashaud Breeland originally inked a three-year, $24MM deal with the Panthers this offseason, but after a freak injury resulted in a failed physical, the veteran defensive back was forced to take quite a pay cut on his one-year deal with the Packers. Breeland signed a minimum salary benefit pact, as Rob Demovsky of ESPN.com writes, so he’ll collect a base salary of $790K plus a $90K bonus. However, under the rules of the MSB, Breeland will only count against Green Bay’s salary cap at the rate of a second-year player ($630K). 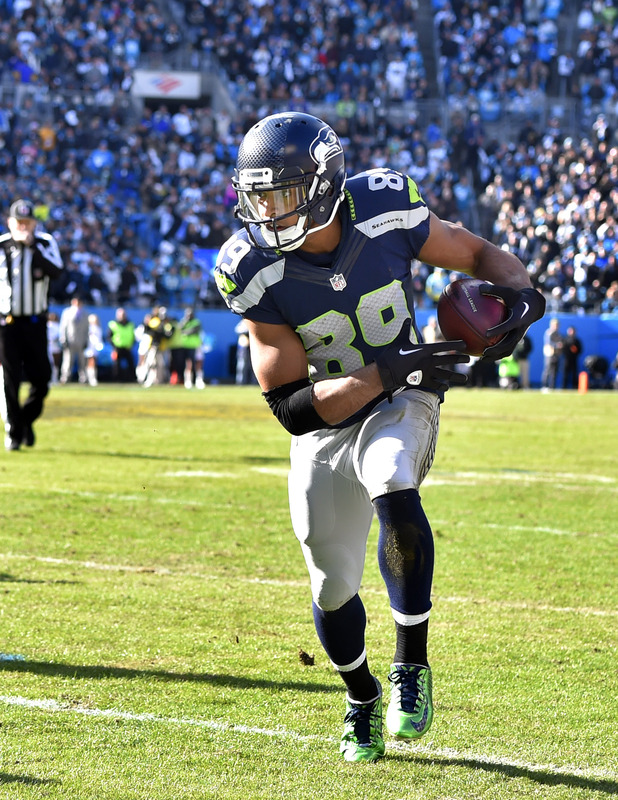 It sounds like Doug Baldwin‘s knee injury is worse than originally feared. ESPN’s Adam Schefter reports (via Twitter) that the Seahawks top receiver suffered a Grade 2 partial MCL tear during the team’s season-opening loss to the Broncos yesterday. While the team is still figuring out how much time Baldwin is set to miss, the wideout will presumably sit out at least several games. Following yesterday’s loss, it was reported that Baldwin had “only” suffered a MCL sprain, leading some to assume that he’d only be forced to miss a single game (if that). Unfortunately, it sounds like the wide receiver will be forced out of the lineup for a bit longer, as partial MCL tears generally take at least a month to heal. If there’s any good news, the partial MCL tear occurred in Baldwin’s right knee, which isn’t the same knee that forced the veteran to sit out the entire preseason. The 29-year-old returned to practice in late August, and he acknowledged that he’d have to deal with pain in his left knee throughout the season. It’s not good news for Baldwin or the Seahawks that the receiver will now be dealing with injuries to both knees. Baldwin was only targeted once before exiting today’s game, although there’s no denying his importance to Seattle’s offense. The 29-year-old finished last season with 75 receptions for 991 yards and eight touchdowns. The team could be eyeing some reinforcement at receiver, as the team is currently rostering only four healthy wideouts in Tyler Lockett, Jaron Brown, Brandon Marshall, and David Moore. There’s some relatively good news for Seahawks fans following the team’s season-opening loss to the Broncos today. Following the contest, head coach Pete Carroll told reporters that wideout Doug Baldwin has a sprained right MCL (via ESPN’s Brady Henderson on Twitter). The injury didn’t occur to the same knee that forced Baldwin to miss a month of training camp. While Carroll couldn’t give a definitive timeframe for Baldwin’s return, the “ProFootballDoc” over at the San Diego Union-Tribune doesn’t believe the injury is all that serious. Ultimately, the writer could envision the receiver missing up to a week, if anything. While this is good news, it also means that Baldwin will now be playing through a pair of knee injuries. The 29-year-old returned to practice in late August, and he acknowledged that he’ll have to deal with pain in his left knee throughout the season in his left knee. This pain was attributed to “degenerative joint disease and chronic knee issues” (according to ProFootballDoc), and Baldwin didn’t outright deny that he was forced to go under the knife to deal with the injury. Baldwin was only targeted once before exiting today’s game, but the Seahawks will surely be counting on him throughout the season. The 29-year-old finished last season with 75 receptions for 991 yards and eight touchdowns. Doug Baldwin is back at Seahawks practice after missing the preseason with a knee injury. 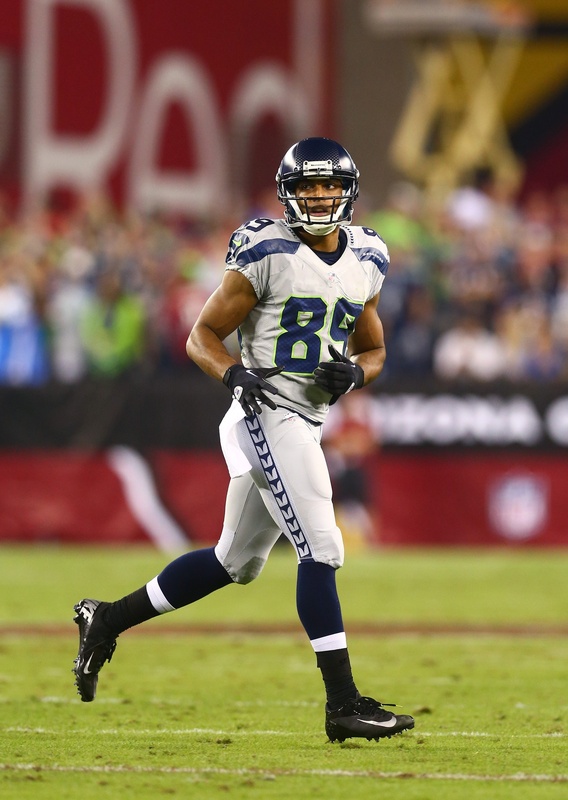 As expected, Seattle’s top wide receiver plans on returning for Week 1, per the Associated Press. Baldwin may or may not have undergone a procedure for his sore left knee, the soon-to-be 30-year-old pass-catcher not denying an operation of some sort took place. The eighth-year Seahawk also expects to have to deal with knee pain this season, saying he’ll have to manage this issue throughout the year. The Seahawks are counting on Baldwin to reprise his role as Russell Wilson‘s favorite target, but while he was out, newcomers Jaron Brown and Brandon Marshall logged extensive first-team time. But Baldwin remains Seattle’s centerpiece receiver and a key veteran after so many on defense were jettisoned this offseason. Sam Shields‘ comeback attempt may clear a key barrier. The former Packers starter is on track to make the Rams‘ 53-man roster, Lindsay Thiry of ESPN.com writes. While he stands to be behind Los Angeles’ top three of Aqib Talib, Marcus Peters and Nickell Robey-Coleman, Shields making it back onto a roster would be a significant development considering how concussion issues nearly ended his career. The 30-year-old defender has not played since Week 1 of the 2016 season. Under optimal circumstances, Mike Person may have been third in the running for the 49ers’ right guard job. Jonathan Cooper and Joshua Garnett are ex-first-rounders both are out-earning the 30-year-old UDFA who is attached to a league-minimum contract. But Person is the odds-on favorite to open the season with the starters, Kyle Shanahan said (via Matt Maiocco of NBC Sports Bay Area, on Twitter). Despite Cooper’s one-year, $4.95MM contract, Person is competing to hold off Garnett, per Matt Barrows of The Athletic (on Twitter). One of the 49ers’ Reuben Foster insurance policies may not make the roster. A 16-game Chargers starter between the 2016 and ’17 seasons, linebacker Korey Toomer is on the bubble going into the 49ers’ final preseason game, Barrows writes (subscription required). Foster’s return induced the 49ers to move Mark Nzeocha to outside ‘backer, where he has a chance to start, and Elijah Lee is also competing for a roster spot. Toomer may make the team’s initial 53-man roster, because of Foster’s two-game suspension, but Barrows notes he’s not a lock to be one of San Francisco’s backups this season. Arthur Moats probably won’t be ready for the Cardinals’ regular-season opener because of an MCL issue.